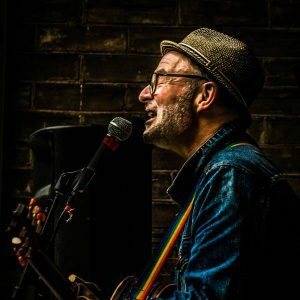 ANDY FORGIE LIVE AT CAPERS Feb. 8 - Andy is one of Belleville's best loved entertainers. Enjoy an evening of music from the 60s, 70s and more with Andy Forgie live at Capers on February 8. 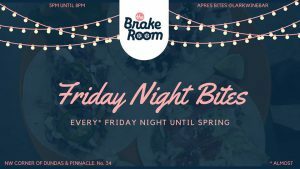 FRIDAY NIGHT BITES - Join us at The Brake Room every Friday afternoon starting at 5 pm as a local chef takes over to bring you the kind of small plates that Fridays were made for. 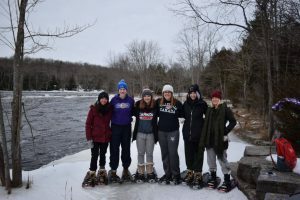 SNOWSHOE + A NIGHTCAP various dates - Head out for a hot chocolate and snowshoe with Cruising Canoes and end the evening with a nightcap at Signal Brewery. 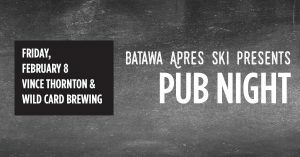 APRES SKI PUB NIGHT Feb. 8 - Bring your friends for Apres Ski Pub Night at Batawa Ski Hill with a great menu, brews from Wild Card Brewing Co and live music from Vince Thornton.